This impressive vase is probably French but made during the 1930s. 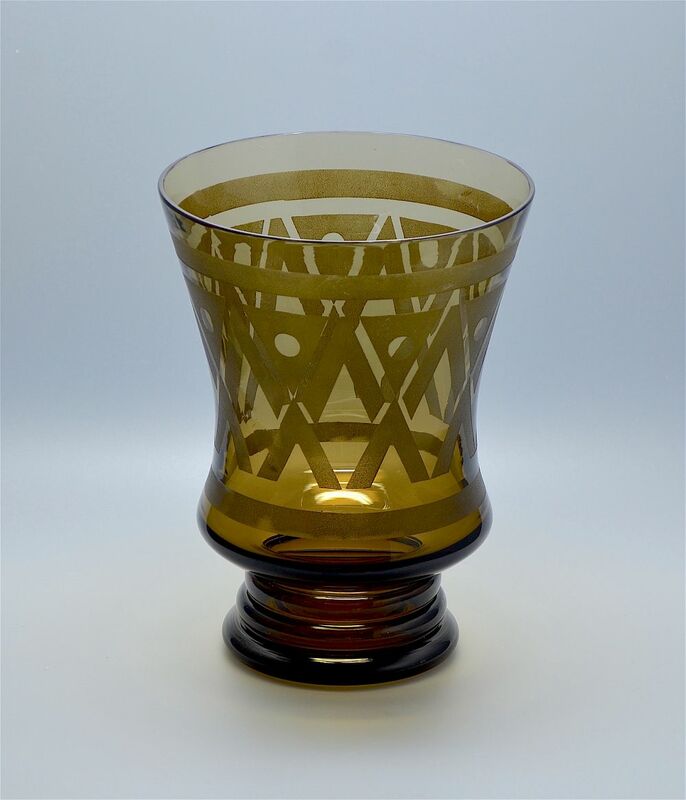 Shaped like an oversize footed goblet it is in cognac coloured glass with a geometric acid etched pattern around the centre of the flared body above a round three tiered foot. It is not signed.